A designer-style diaper bag for mom, this diaper bag set created by Timi and Leslie is quickly becoming a must-have on baby shower gift list across the land. A truly fashionable, yet practical bag, moms have plenty of storage with this in-style hand-bag/diaper bag. A 7-piece set, the bag includes a wallet or clutch for your ID and credit cards, stroller straps, insulated bottle cover and much more. 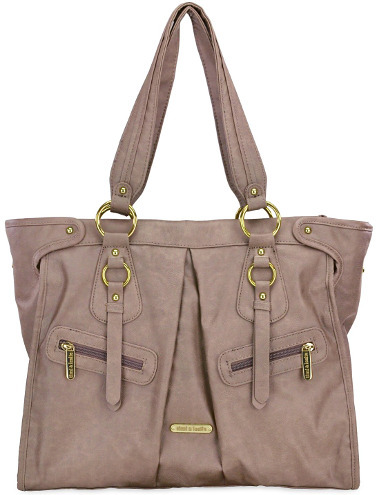 Comes in a neutral taupe color, this diaper bag will match any outfit you put on.